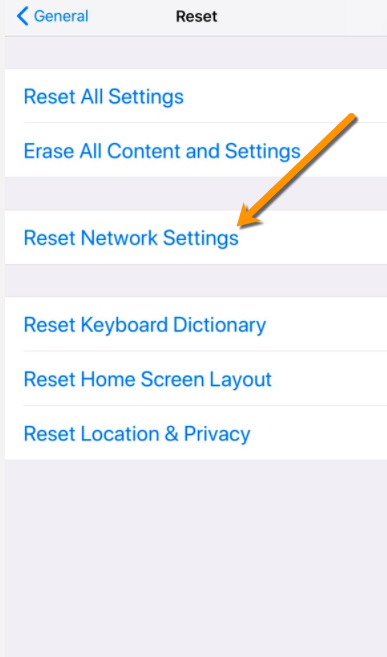 Error messages encountered in the iOS app indicate a connectivity issue with the network you are using. Use the troubleshooting guide below to try our fix it steps! Still having trouble? Next we'll try resetting your network settings on cellular data. What's Next: If you are still receiving an error message with a 4-digit error code and have tried all the steps above, please contact us using the orange help widget below and provide all of the requested details. Completing the requested fields with inaccurate or false information while not receiving an actual 4-digit error code may result in your request being routed incorrectly and/or remaining unresolved.